Maha Shivratri | It isn't time that's passing by..it's you and i..
Maha Shivratri or Shivratri (Night of Shiv) is a Hindu festival celebrated every year on the 14th day in the Krishna Paksha of the month Phalguna in the Hindu Calendar. The most significant practices on this day are offerings of Bael (Bilva) leaves to the Lord Shiv, fasting and all night long vigil. 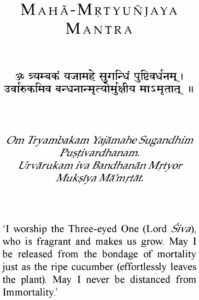 For believers, I recommend the constant Jaap of Maha Mrityunjay Mantra on this day and every day. Here is the Mantra, its meaning, significance and instructions on how to do Jaap. Lord Shiv is one of the Hindu trinity that comprises the creator Brahma, the protector Mahavishnu, and the godhead Shiv whose primary responsibility is maintaining the life cycle. Shiv is the only godhead who is forever in deep meditation, totally absorbed in contemplation in His abode, Kailaash mountain in the great Himalayas. Shiv is an ascetic and several religious stories and dramas portray that all attempts to distract Him from that principal pursuit through temptations always ended up with disaster for those initiating such an effort. Thus Kama, the Lord of Desires, who tried such a distraction was burned alive through the fire when Shiv opened His third eye. On the other hand, Shiv is all compassion when it came to saving the world from the serpent Vaasukiâ€™s poison during the amritamanthana. Vaasuki, used as a churning rope, was so tired and sick from the repeated action of churning that he vomited the most potent poison into the ocean of milk. Fearing the destruction of the world through this poisoning, Shiv immediately drank the poison. He Himself would have succumbed to the poison were it not for the timely intervention by Paarvati, His consort. Paarvati held Shivâ€™s throat tightly preventing entry of the poison into His body. Shivâ€™s image appears to provoke the fundamental question: “What is this life all about?” and forces us to demand an answer such as sacrifice, worship and service as the potential elements towards salvation. Lord Shiv is worshiped as a lingam to help us contemplate the need to think of Him as the most basic and essentially formless one. Shiv is commonly portrayed as an ascetic with a serpent around His neck, vibhooti (sacred ash) adorning His face and His essentially bare body, a trishul (trident) in one of His hands and a kamandalu (container of water for use in religious practices) in an other hand, and a damaruga (small drum) in yet another hand. A Very Happy Shivratri to you all. Herath Mubarak to Kashmiri folks!